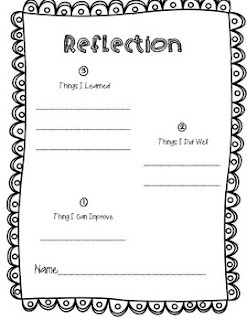 I have added a couple of reflection resources to my TpT Store. These are pretty simple reflection sheets, but my hope is that these are inexpensive and quick for you to access. You can reuse these throughout the year for multiple lessons. They can actually go with any lesson or project. I use these quite often. I know its great to have something you can access quickly. These will help in that sense. So, after trying several different things, I have settled on a few that I like to use over and over. 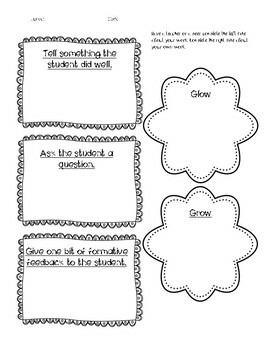 I think having a similar format for a few different types of reflections helps the students. They learn how to reflect in different ways, but also are familiar enough with the formats used in the classroom that they can easily complete them. I think it helps them as they work, too. If they know they are going to complete a reflection, and know there are a couple of types that are used in the class where they are working, they will be thinking about it as they work. These are only $1 each! Woohoo!